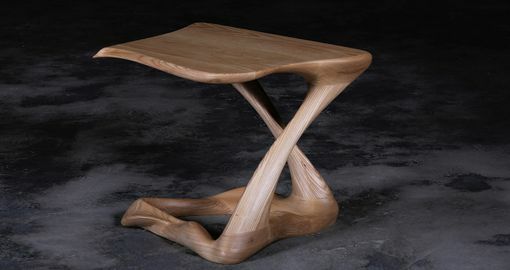 Tryst Table is designed and made in Los angles, California. It is a futuristic sculptural art table with a dynamic form designed by Amorph. Tryst could be fitted in modern homes or offices featuring as a contemporary style piece. 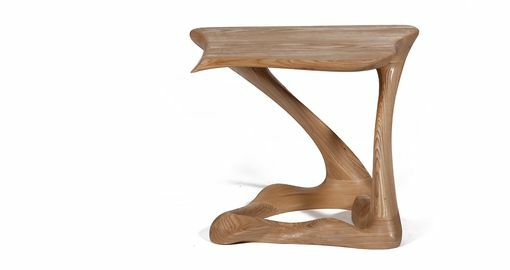 Tryst is made out of solid Ash Wood with matte lacquer finish. by the nature, the ash wood grains look would be slightly different from the other. 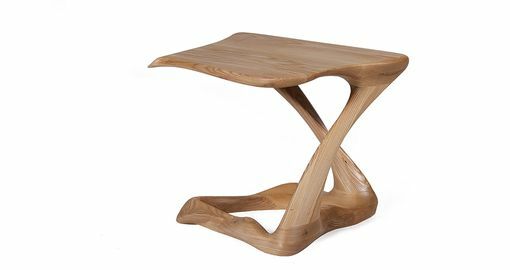 Amorph is a contemporary design and manufacturing company that produces various furniture by using computational design programs and cutting edge digital fabrication technologies. 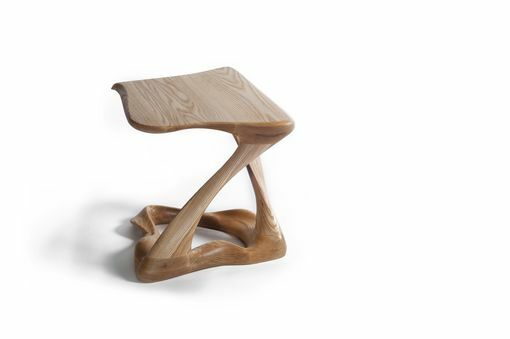 As a result, Plie is part of a collection of furniture with an astonishing look. 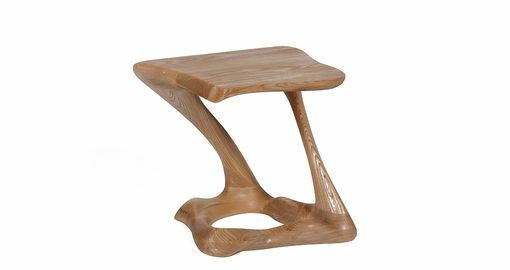 Plie is made out of solid Ash Wood with matte lacquer finish. by the nature, the ash wood grain's look would be slightly different from the other.